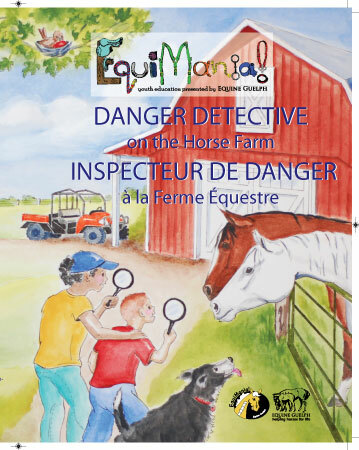 Due to industry demand and thanks to a generous donation from Equine Canada, the popular youth safety activity book created by Equine Guelph and over 20 industry sponsors will be reprinted and made available through Equine Canada at no charge (large quantity orders will be subject to shipping charges). Call 1.866.282.8395 ext. 120 or e-mail jcull@equinecanada.ca to order.